While our weather is nothing like what the rest of the country is dealing with, it did get cold. Nothing but ice for my poor little Hummer. 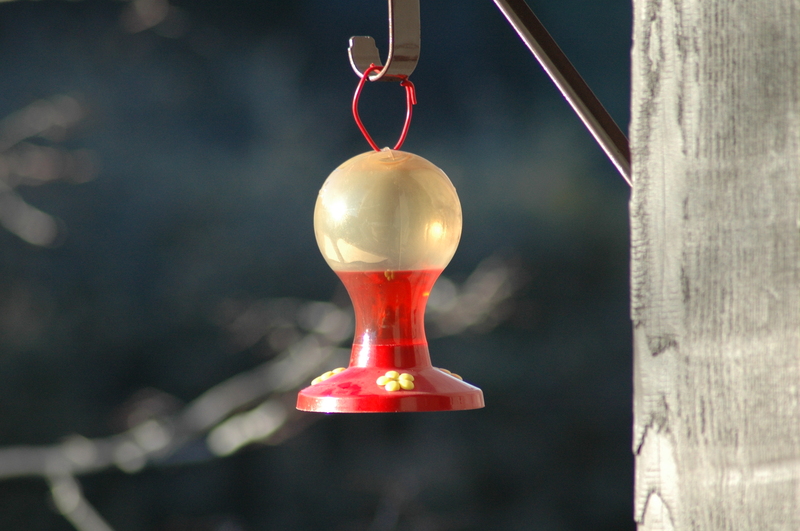 Mind you, all the other hummers flew to warmer country, but this little guy stayed with me last winter and again this winter. I feel so responsible for his care since he choose to stay in my yard. Naturally I went into emergency response when I saw the frozen feeder. 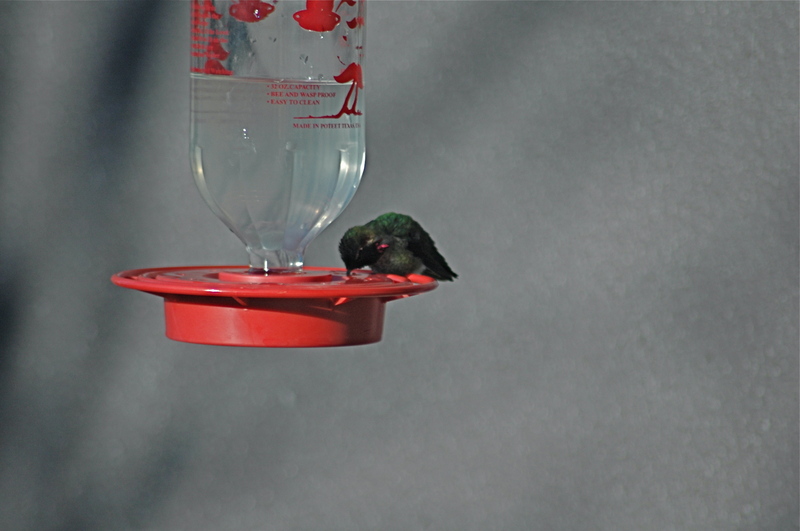 I first ran to get the camera a take his picture, documenting his little life is important, next I put out the spare feeder with some left over instant sugar water. Meanwhile, Papa went to work defrosting the frozen feeder. 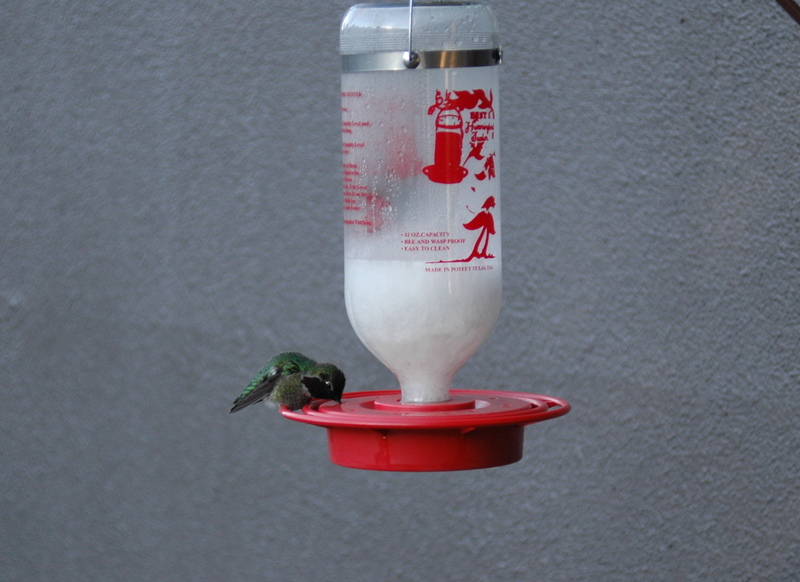 I started up a new batch of sugar water all the while keeping an eye on the emergency feeder. 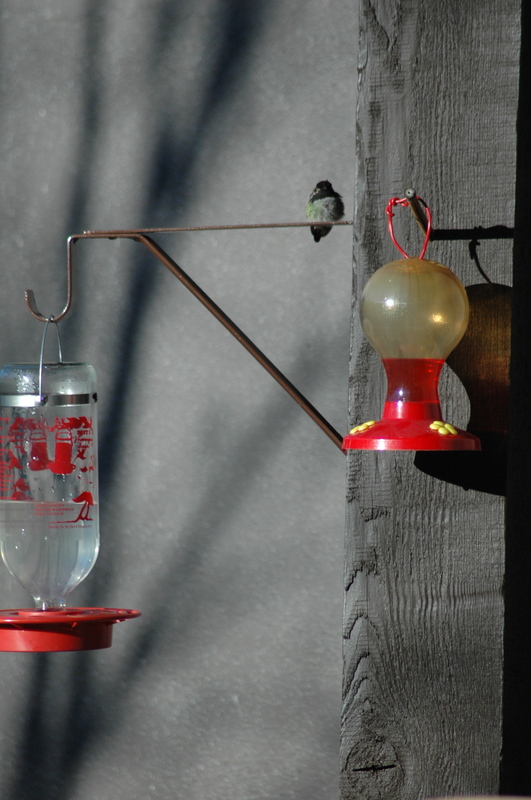 This was no time for little hummer to be picky. 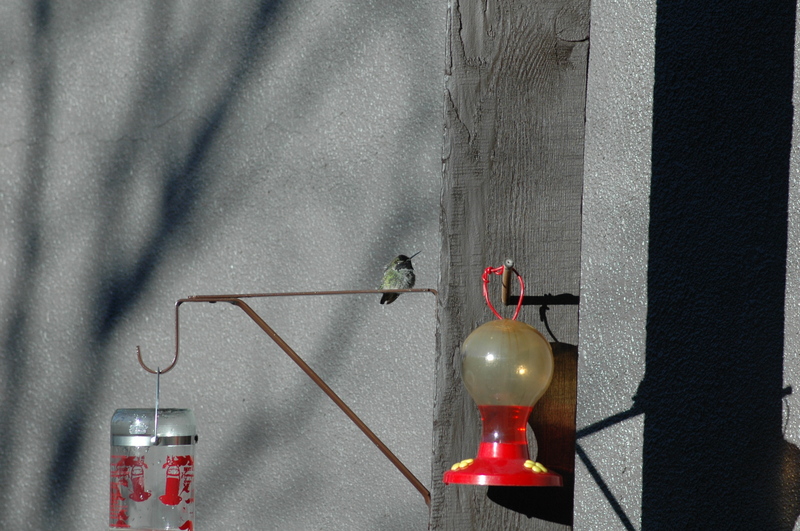 He didn’t come back until we had his regular feeder back outside. 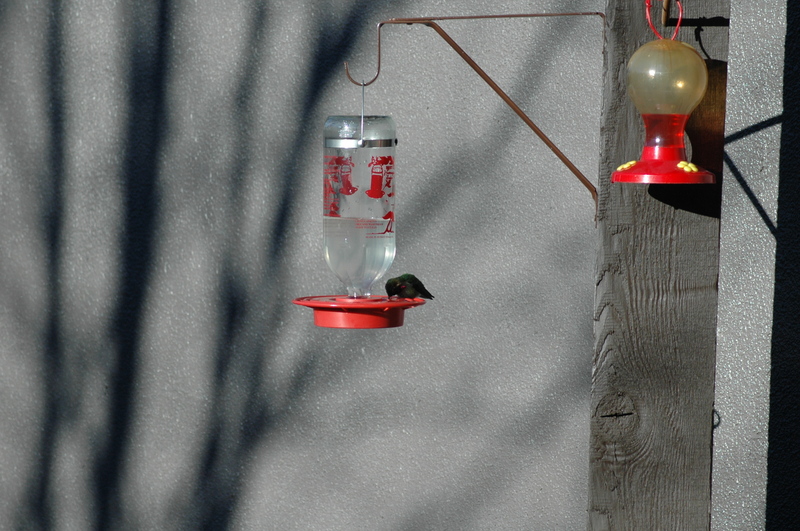 The store bought syrup was good for only two sips, Mom’s homemade did the trick and our little hummer ate his fill. 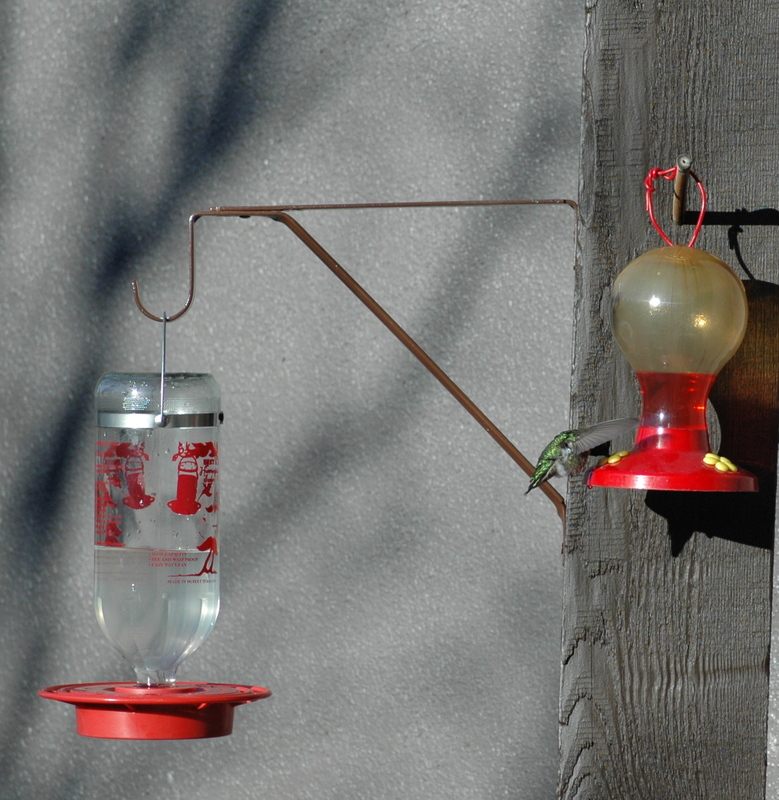 Now if Mom can just remember to bring the feeder in at night. One of these cows is not like the others……..